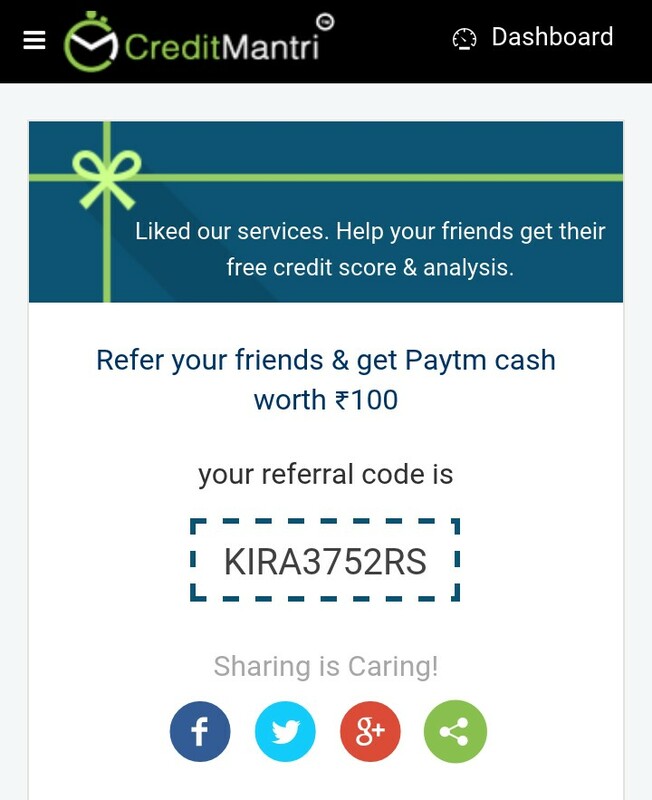 Hi Guys, Now we again come back with another genuine Concept to earn unlimited Free paytm cash by referring your friends. CreditMantri was created to help you take charge of your credit health and help you make better borrowing decisions. They support customers with every kind of credit profile – those who are new to credit and have a minimal or nonexistent record; those who have a problematic history; and those who already enjoy a healthy profile. If you are looking for credit, They will make sure you find it, and ensure that it is the best possible match for you. 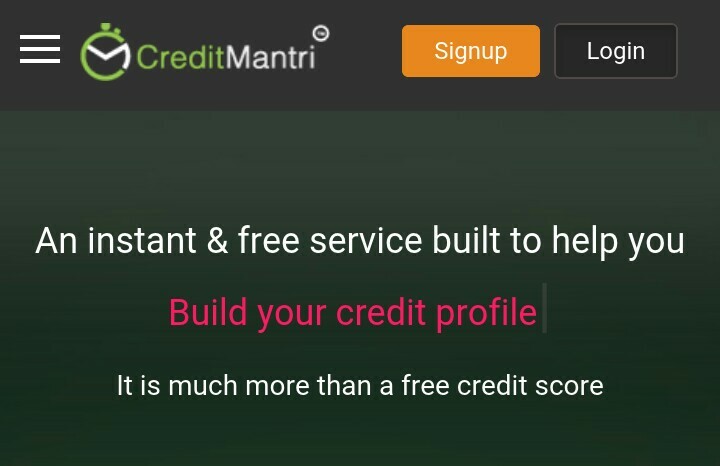 ◾Your friend has to register with CreditMantri with your referral code and get a free credit score and analysis. ◾ Once your friend gets a credit score and analysis, it is considered as a successful referral. ◾Once you have 3 successful referrals, you would be eligible for 50₹ Paytm cash and for 5 successful referrals you would be eligible for 100₹ Paytm cash. ◾For every 2 successful referrals after this (i.e. beyond 5 successful referrals) you would get 50₹ more. ◾Money will be transferred to your Paytm wallet within 7 working days after you become eligible for a payout. ◾Users who don’t have a Paytm wallet are requested to create one, as no other means of payout will be encouraged. ◾The referral program is valid till 30th Sep 2016.